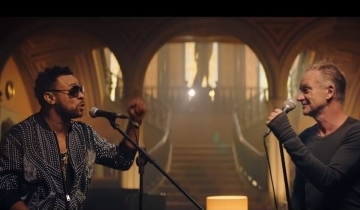 Taken from their GRAMMY-Award winning album, 44/876, Sting & Shaggy have today launched a new video for their single, “Just One Lifetime,” helmed by acclaimed director Joseph Khan (credits include U2, Taylor Swift, Eminem, Katy Perry). Important message addressing the postponement of Sting's October 8 concert in San Francisco. 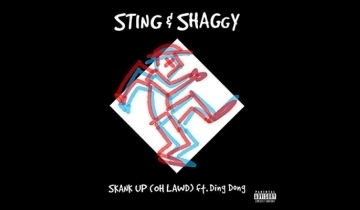 “Skank Up (Oh Lawd)” is a brand-new song by Sting and Shaggy featuring dancehall music sensation Ding Dong. 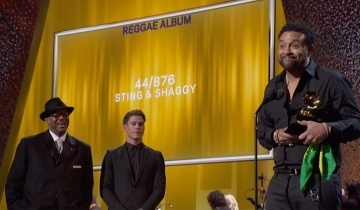 The track was recorded in various studios along Sting and Shaggy’s critically-acclaimed European 44/876 Tour this summer as well as at Shaggy’s Ranch Studios in New York. Produced by GRAMMY-nominated producer Martin Kierszenbaum (Sting, Madonna, Lady Gaga, Far East Movement), “Skank Up (Oh Lawd)” contains a sample from “Groovy Baby” by Gerry Richardson and the E Types whose frontman, Gerry Richardson, used to be in the Newcastle-based band Last Exit with Sting. 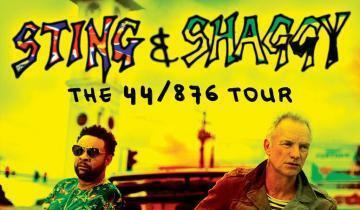 The 44/876 Tour took Europe by storm this summer as Sting & Shaggy's island-inspired music both delighted and surprised fans across the continent. The shows were so popular that a visit to Eastern Europe has already been announced for November. In the meantime, the duo will tour North and South America with a band comprised of Sting’s longtime collaborators Dominic Miller (guitar), Josh Freese (drums) and Rufus Miller (guitar), as well as Shaggy’s band members Melissa Musique (backing vocals), Gene Noble (backing vocals) and Kevon Webster (keyboards). 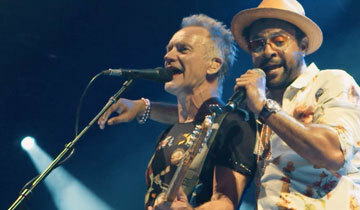 The Cherrytree Music Company and Live Nation announced today that following the European summer tour and North American fall tour, Sting & Shaggy will bring their dynamic and vibrant joint live show to Kiev in November. On November 14th they will bring the show to the Palace of Sports in Kiev, Ukraine. 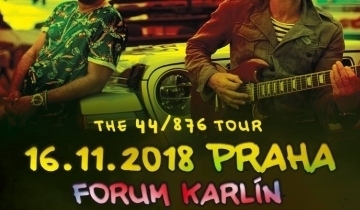 The Cherrytree Music Company and Live Nation announced today that following the European summer tour and North American fall tour, Sting & Shaggy will bring their dynamic and vibrant joint live show to four further Eastern European cities in November. On November 5th they will bring the show to Ekaterinburg, on November 7th to Kazan, on November 9th to St. Petersburg and on November 11th to Moscow.